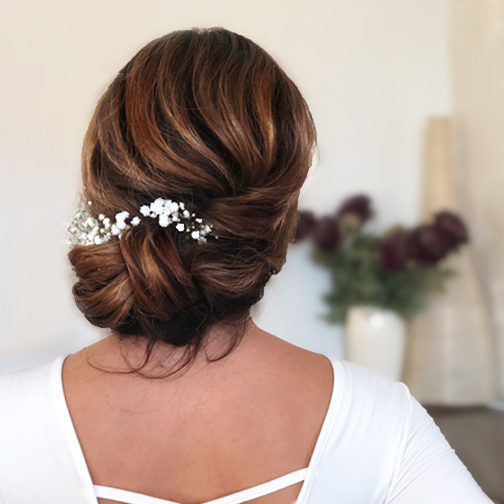 Learn how to create hair up & bridal hair styles. 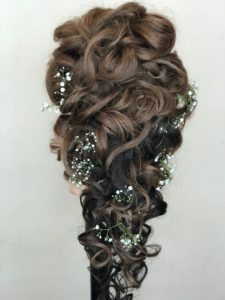 Wedding, prom & special occasion hairstyles plus lots of hair up & bridal hairstyling practice time. 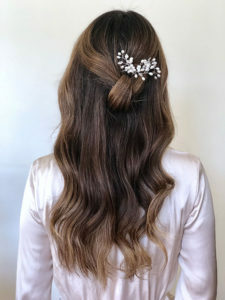 Create your first wedding hair style before lunch on day one. Get student discounts with Salon Services & more. You will be truly amazed at what you learn in just a matter of days! I have been on other courses & without a doubt this was the best. Very in-depth, well structured, professional & the most helpful! Prep the hair properly, find out how to create the right foundations and learn how to secure hair properly. There’s a wealth of inspiration out there for your brides – don’t be fazed. 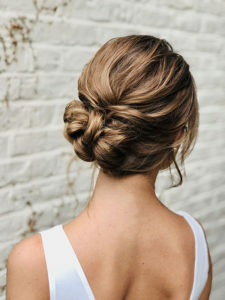 Learn a wide selection of hair up and bridal hair styles from smooth & sleek to relaxed & tousled. 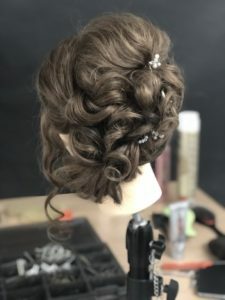 Being a successful wedding hair stylist isn’t just about learning how to create great bridal hairstyles. Learn all the tricks of the trade and get advice on growing your business. with very helpful back up support for learners through online community. Keep up to date with changing trends. 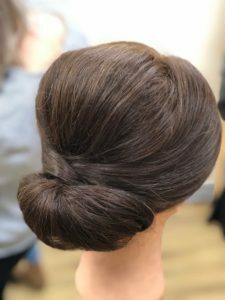 Whether you’re new to hair up and bridal hair or a seasoned professional, our Habia endorsed hairstyling training is second to none. 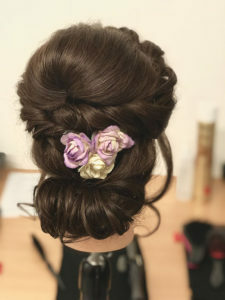 Build your confidence and start your new career as a hair up and bridal hair professional. 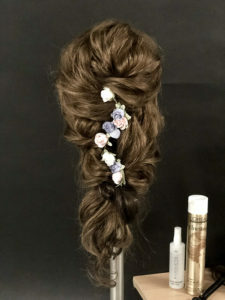 We supply everything you need for the 2 day bridal hair course. *Continue your learning at home. 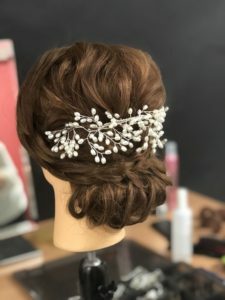 Online Bridal Hair Training with Pam Wrigley. 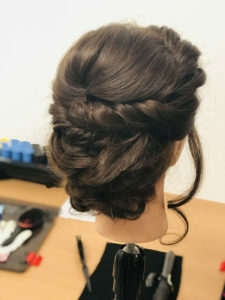 at the end of your 2 day Bridal Hair Course. You will work on practice heads on this course. 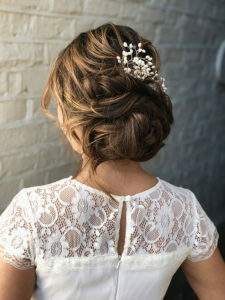 Photoshoot & live model practice available on our London 4 day Bridal & Hair-up course. 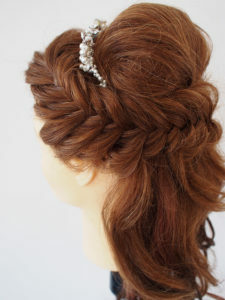 If you can’t make our course dates learn Bridal Hair Online from just £9.99pm. London is served by 5 international airports: Heathrow, Gatwick, Stanstead, Luton and London City Airports. All have excellent connections to central London. I have learnt so much and have progressed from having 0 experience to now feeling full of confidence in styling hair. 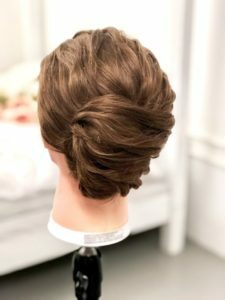 Pam is inspirational and I would highly recommend this course to anyone with a love for creating beautiful hair! CBH deserve more than 5 Stars!!! It was worth to come from Switzerland to London to visit this course. I can recommend this course to everyone. 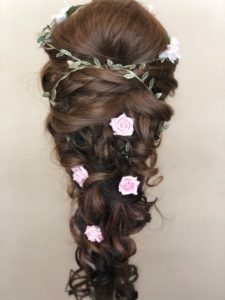 I exactly know how to create a suitable hairstyle. Pam is an amazing teacher and very detailed, i learnt so much in just two days. This course is great and would recommend it to anyone! Gets you set up to go out there on your own! Pam is so knowledgeable and encouraging. Really enjoyed the course and the looks we covered. The information given is great as well to build your business! Can’t recommend this course enough. *Continue your learning at home. 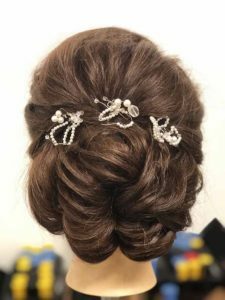 Join us on our 2 day course and consolidate your learning with 6 months membership to Create Beautiful Hair Online Bridal Hair Training with Pam Wrigley. Your 6 months online membership will commence at the end of your 2 day Bridal Hair Course. You will work mainly on practice heads on this course. 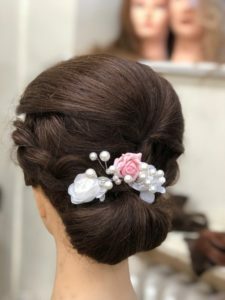 Photoshoot & live model practice available on our 4 day Bridal & Hair-up course. 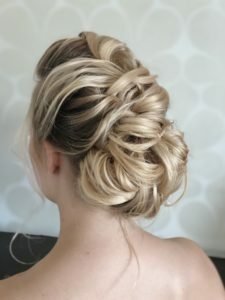 Should I do the 2 day or 4 day bridal hair course? We cover the same topics on each course – if you’re short of time the 2 day course is a great option – you will learn the same styles as on the 4 day course alongside learning the correct techniques – but with less practice time. 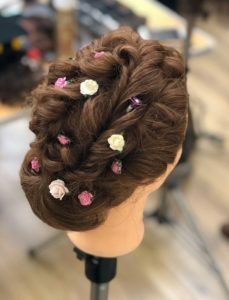 If you like to take you time and would like the opportunity to practice every style, whilst working on live models, then this is definitely the course for you. The 4 day course only takes place in London. How much practice time will I get? There are 2 hour practice sessions each morning and afternoon on both days. Will I be working on live models? No, students work on practice heads on the 2 day course. Do I need to bring any thing with me? No, we supply everything you need for the 2 day training course. Yes, please feel free to take as many photos as you like. What time to you start? We ask students to arrive at 9.15am ready for a 9.30am start – we cover a lot of topics on our 2 & 4 day courses so it’s good to start in time! The training day finishes at 5.30pm. 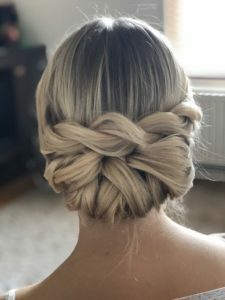 Do I need any previous experience with hair? 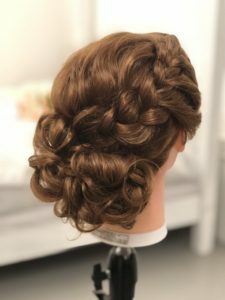 No, you can be a complete beginner – this course is suitable for all levels of experience, we how you haw to create beautiful hair style step by step – you just need to love working with hair – we’ll help you with the rest. 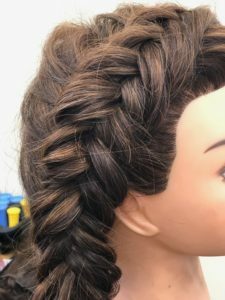 I’m a qualified hair dresser - is this the right course for me? 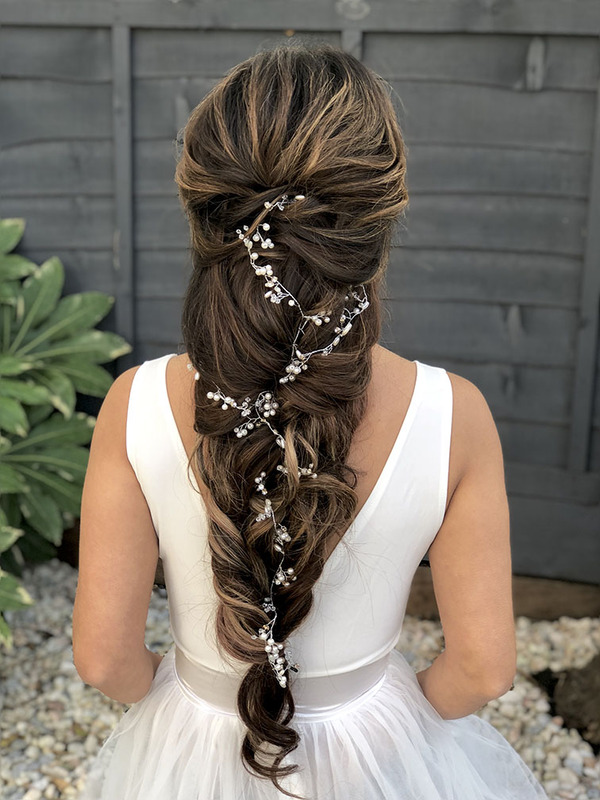 Yes, we have people how have been hairdressing for 20years who join us on our bridal hair courses – you’ll lots of new tips and techniques – and your confidence in putting hair up will go through the roof. 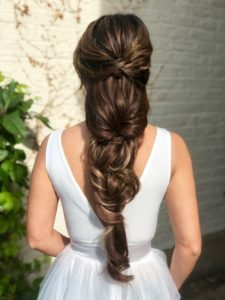 Pingback: Bridal Hairstylist Hacks: Tips from the Experts You Need to Know!